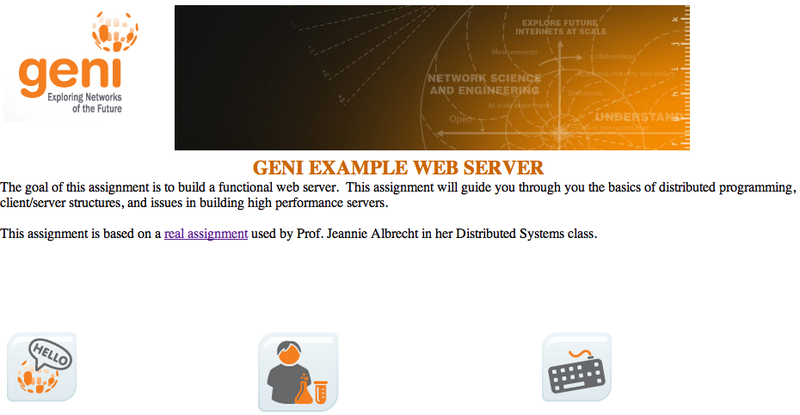 GENIDesktop Tutorial An introduction to the features and functionality of the GENI Desktop environment. 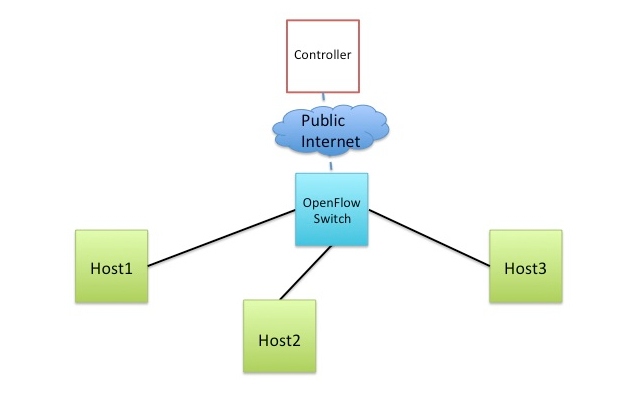 Introduction to OpenFlow using Ryu This is a simple OpenFlow tutorial that will guide you through the writing of simple OpenFlow controllers to showcase some of the OpenFlow capabilities. How to Create a Stitched Link This tutorial will guide you through the basic mechanics of creating a stitched link using Jacks. Converting the Hello GENI Install Script to Ansible Convert the existing HelloGENI exercise and install script to use the ​Ansible configuration management tool. Systematic Experimentation (with Ansible) Create simple node types that can be used to create larger, reproducible topologies. 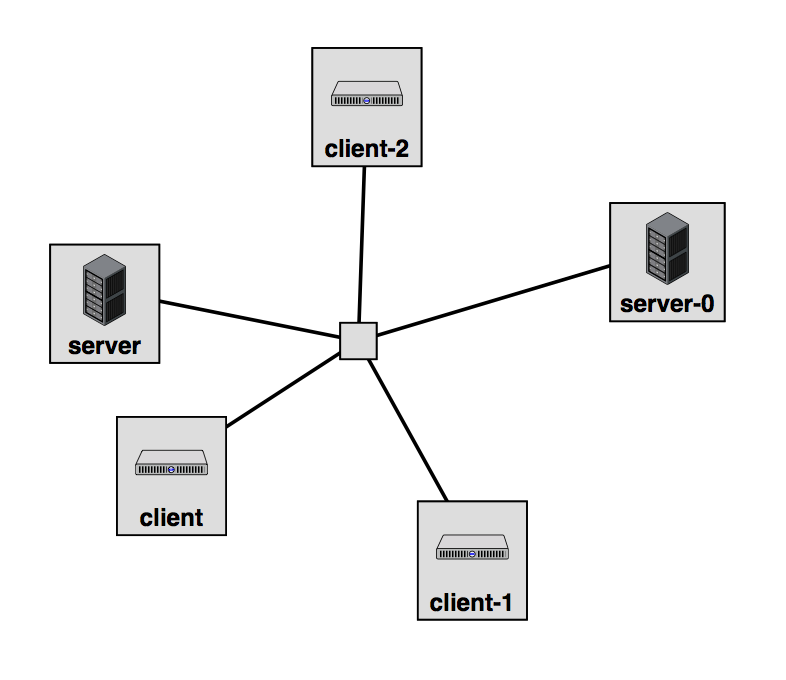 Start by building two simple node types (a server and a client). 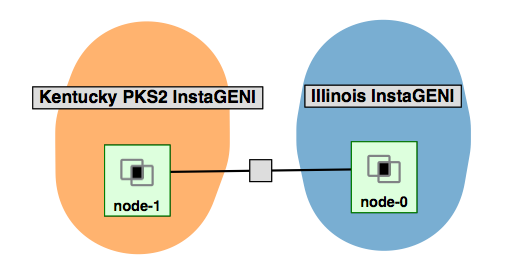 Based on these two simple node types, we will build a larger topology of 5 nodes. Use the ​Ansible configuration management tool to easily install the software on all nodes. NFV Tutorial This is a basic tutorial that guides you through an experiment using OpenFlow and Network Function Virtualization (NFV). hellogeni-websrv.png​ (119.6 KB) - added by nriga@bbn.com 7 years ago. ClickExampleExperiment.png​ (8.8 KB) - added by nriga@bbn.com 7 years ago. FlowManagementAssignment.png​ (241.3 KB) - added by nriga@bbn.com 7 years ago. Seattle.png​ (26.3 KB) - added by nriga@bbn.com 7 years ago. 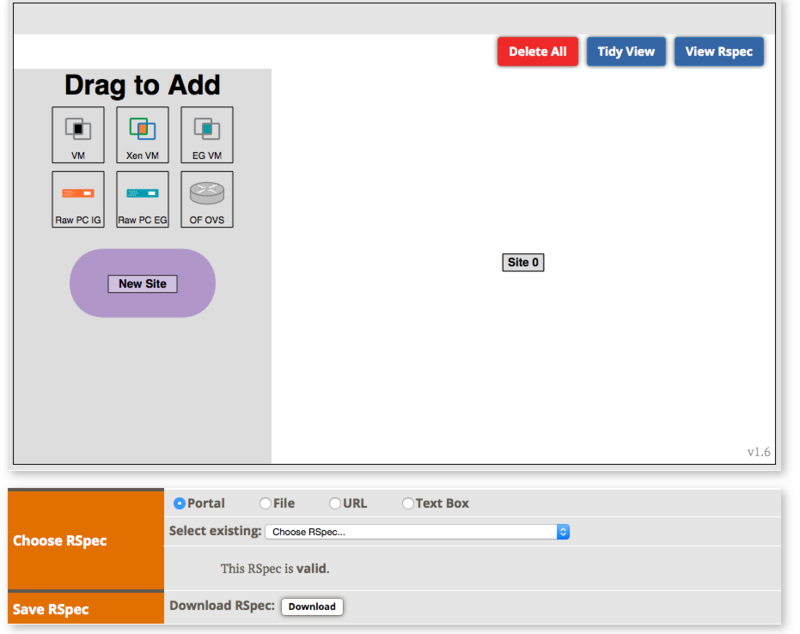 TestTubeGuy.png​ (41.0 KB) - added by nriga@bbn.com 7 years ago. TCPAssignment.png​ (68.4 KB) - added by nriga@bbn.com 7 years ago. WebServerExample.png​ (18.5 KB) - added by nriga@bbn.com 7 years ago. UDTExampleExperiment.png​ (10.6 KB) - added by nriga@bbn.com 7 years ago. 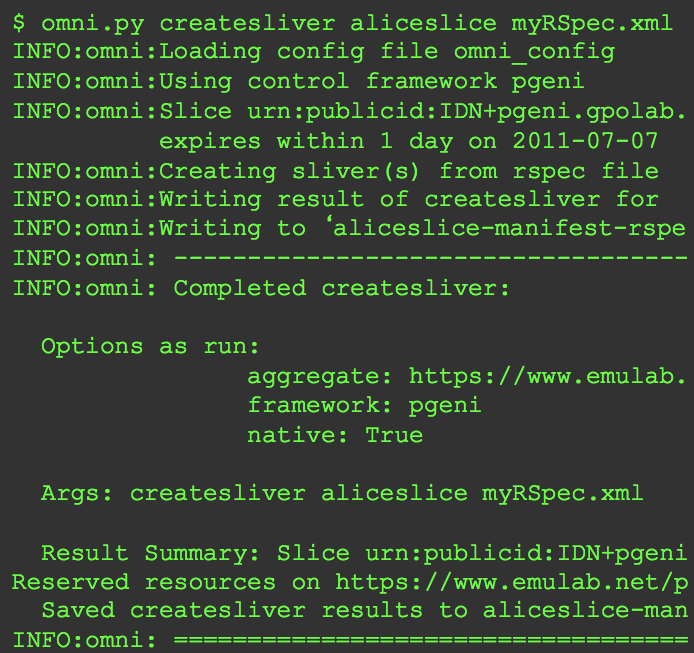 GIMI-ExoGENI.png​ (86.1 KB) - added by nriga@bbn.com 6 years ago. ExoGENI-OF.png​ (86.0 KB) - added by nriga@bbn.com 6 years ago. JacksLab0_1.png​ (205.7 KB) - added by rrhain@bbn.com 5 years ago. JacksLab0_3.png​ (114.3 KB) - added by rrhain@bbn.com 5 years ago. JacksLab0_5.png​ (133.9 KB) - added by rrhain@bbn.com 5 years ago. JacksLab0_6.png​ (194.4 KB) - added by rrhain@bbn.com 5 years ago. JacksLab0_7.png​ (220.2 KB) - added by rrhain@bbn.com 5 years ago. JacksLab0_9.png​ (103.4 KB) - added by rrhain@bbn.com 5 years ago. JacksLab0_12.png​ (366.5 KB) - added by rrhain@bbn.com 5 years ago. JacksLab0_11.png​ (86.5 KB) - added by rrhain@bbn.com 5 years ago. JFedLab0_2.png​ (175.1 KB) - added by rrhain@bbn.com 5 years ago. JFedLab0_5.png​ (237.7 KB) - added by rrhain@bbn.com 5 years ago. JFedLab0_6.png​ (249.2 KB) - added by rrhain@bbn.com 5 years ago. JFedLab0_6.5.png​ (367.6 KB) - added by rrhain@bbn.com 5 years ago. JFedLab0_9.png​ (266.8 KB) - added by rrhain@bbn.com 5 years ago. JFedLab0_10.png​ (238.2 KB) - added by rrhain@bbn.com 5 years ago. JFedLab0_15.png​ (262.2 KB) - added by rrhain@bbn.com 5 years ago. JacksLab1_1.png​ (103.6 KB) - added by rrhain@bbn.com 5 years ago. JacksLab1_3.png​ (107.5 KB) - added by rrhain@bbn.com 5 years ago. JacksLab1_4.png​ (111.7 KB) - added by rrhain@bbn.com 5 years ago. JacksLab1_5.png​ (114.5 KB) - added by rrhain@bbn.com 5 years ago. JacksLab1_6.png​ (116.2 KB) - added by rrhain@bbn.com 5 years ago. JFedLab1_1.png​ (67.4 KB) - added by rrhain@bbn.com 5 years ago. JacksLab1_2.png​ (105.1 KB) - added by rrhain@bbn.com 5 years ago. JFedLab1_2.png​ (101.1 KB) - added by rrhain@bbn.com 5 years ago. JFedLab1_4.png​ (276.6 KB) - added by rrhain@bbn.com 5 years ago. JFedLab1_5.png​ (349.7 KB) - added by rrhain@bbn.com 5 years ago. JFedLab1_6.png​ (375.5 KB) - added by rrhain@bbn.com 5 years ago. JFedLab1_7.png​ (592.3 KB) - added by rrhain@bbn.com 5 years ago. JFedLab1_8.png​ (327.7 KB) - added by rrhain@bbn.com 5 years ago. JacksLab0_15.png​ (99.9 KB) - added by rrhain@bbn.com 5 years ago. JacksLab1_7.png​ (115.7 KB) - added by rrhain@bbn.com 5 years ago. JFedLab0_13.png​ (289.1 KB) - added by rrhain@bbn.com 5 years ago. JFedLab0_8.png​ (290.8 KB) - added by rrhain@bbn.com 5 years ago. JacksLab0_4.png​ (70.3 KB) - added by sedwards@bbn.com 5 years ago. JacksLab0_16.png​ (32.3 KB) - added by sedwards@bbn.com 5 years ago. JacksLab0_2_3node.png​ (36.1 KB) - added by sedwards@bbn.com 4 years ago. JacksLab0_7_3node.png​ (40.2 KB) - added by sedwards@bbn.com 4 years ago. JacksLab0_5_3node.png​ (44.4 KB) - added by sedwards@bbn.com 4 years ago. JacksLab0_4_3node.png​ (47.7 KB) - added by sedwards@bbn.com 4 years ago. JacksLab0_3_3node.png​ (36.1 KB) - added by sedwards@bbn.com 4 years ago. JacksLab0_16_3node.png​ (33.9 KB) - added by sedwards@bbn.com 4 years ago. 3_1_Lab1Labwiki_import.png​ (297.5 KB) - added by sedwards@bbn.com 4 years ago. 3_2_Lab1Labwiki_editnode.png​ (327.0 KB) - added by sedwards@bbn.com 4 years ago. 3_3_Lab1Labwiki_installexecute.png​ (332.9 KB) - added by sedwards@bbn.com 4 years ago. 3_4_Lab1Labwiki_view.png​ (325.1 KB) - added by sedwards@bbn.com 4 years ago. 1_loadinitial.png​ (108.4 KB) - added by sedwards@bbn.com 4 years ago. 2_twoagg.png​ (126.3 KB) - added by sedwards@bbn.com 4 years ago. 2b_setlinktype.png​ (151.1 KB) - added by sedwards@bbn.com 4 years ago. 3_bind.png​ (129.3 KB) - added by sedwards@bbn.com 4 years ago. 4_geo.png​ (428.0 KB) - added by sedwards@bbn.com 4 years ago. 5_ready.png​ (113.3 KB) - added by sedwards@bbn.com 4 years ago. RainData.png​ (17.5 KB) - added by sedwards@bbn.com 4 years ago. RainData_v2.png​ (17.9 KB) - added by sedwards@bbn.com 4 years ago. JacksLab0_2.png​ (110.2 KB) - added by sedwards@bbn.com 4 years ago. JacksLab0_14.png​ (128.5 KB) - added by sedwards@bbn.com 4 years ago. JacksLab0_10.png​ (211.0 KB) - added by sedwards@bbn.com 4 years ago. 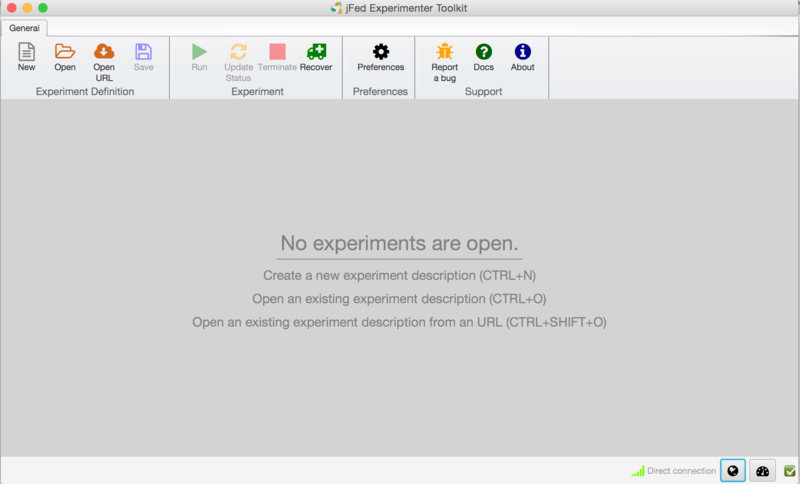 JFedLab0_1.png​ (210.4 KB) - added by sedwards@bbn.com 4 years ago. JFedLab0_7.png​ (398.1 KB) - added by Vic Thomas 3 years ago.